"When Jason Shaw is woken by cops at his front door, he knows instantly that something is wrong. The police - who are also friends of the family - confirm it. Jason's parents have been involved in a high speed crash. Everyone believes it's an accident, but then their home gets tu... read full description below. When Jason Shaw is woken by cops at his front door, he knows instantly that something is wrong. The police - who are also friends of the family - confirm it. Jason's parents have been involved in a high speed crash. Everyone believes it's an accident, but then their home gets turned over as someone seems to be searching for something incriminating. When they find it, Jason finds himself in trouble, and out on his own. Could it be connected to something his detective father was investigating? With his best friend Ben, Jason has to follow the clues to solve the mystery of the fatal collision. But who can he trust? How fast can he work? And who is trying to catch Jason Shaw? 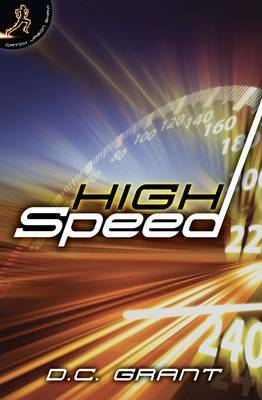 High Speed is the first in the Catch Jason Shaw series, for anyone who loves a fast-paced thriller from age eleven upwards. DC Grant was born in England, but has lived in South Africa and New Zealand, which meant a lot of travelling and getting used to different accents. Besides writing, other interests are rugby, target shooting and military history. The author writes about sports, guns and battles, but not always in the same book. Grant's first book In Too Deep is about surfing. The first book in the Catch Jason Shaw series, High Speed, is about murder. Other works include historical fiction and featured pieces on www.rorkesdriftvc.com. DC Grant lives in a New York-style loft apartment, with an aging Fox Terrier called Milly and a slightly psychotic cat called Candy.